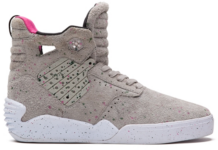 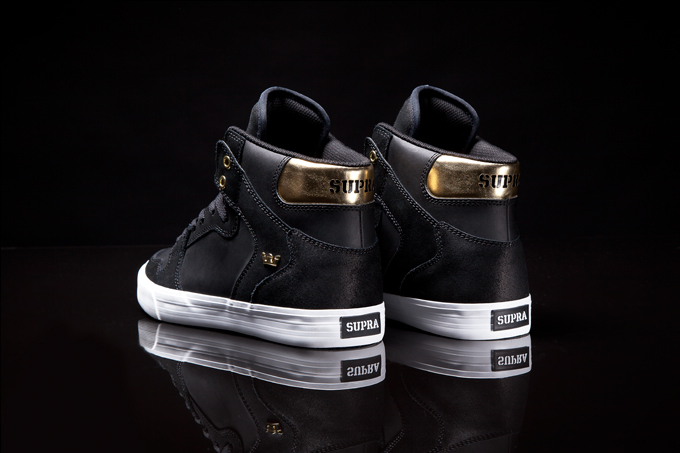 Available alongside the black and gold “Midas” edition of Stevie Williams’ signature S1W is an accompanying makeup for the Vaider from Supra. 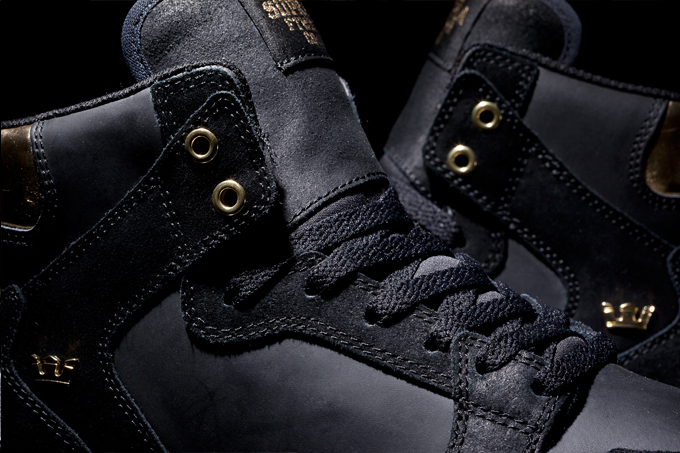 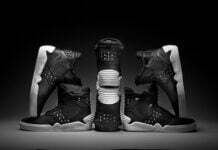 The new high top Vaider “Midas” is constructed with a luxuriously smooth matte black leather and black waxed suede. 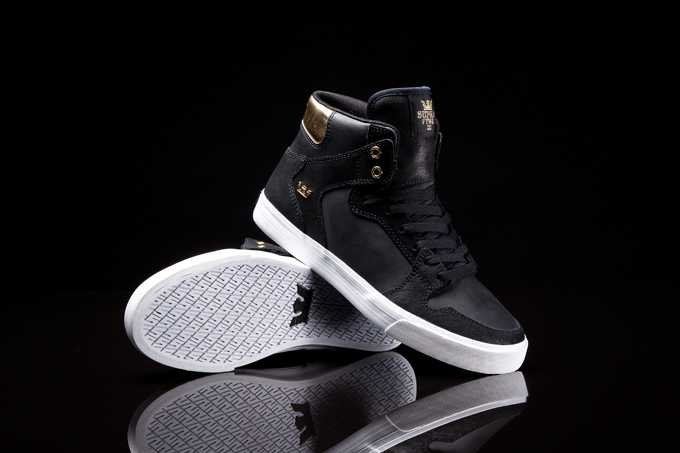 The solid black upper is complemented with subtle gold strikes such as the gold leather heel panel, gold metal eyelets, and gold crown applique. 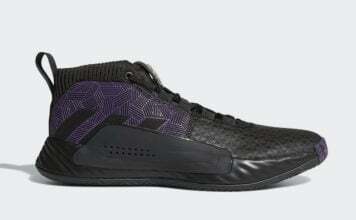 It has a comfortable, padded black mesh lining and it’s built on a white vulcanized sole with white foxing. 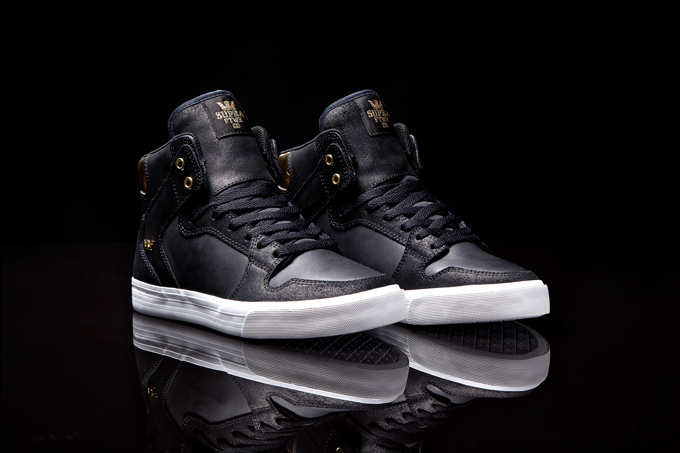 The Vaider “Midas” is available at fine SUPRA retailers worldwide, and suprafootwear.com.